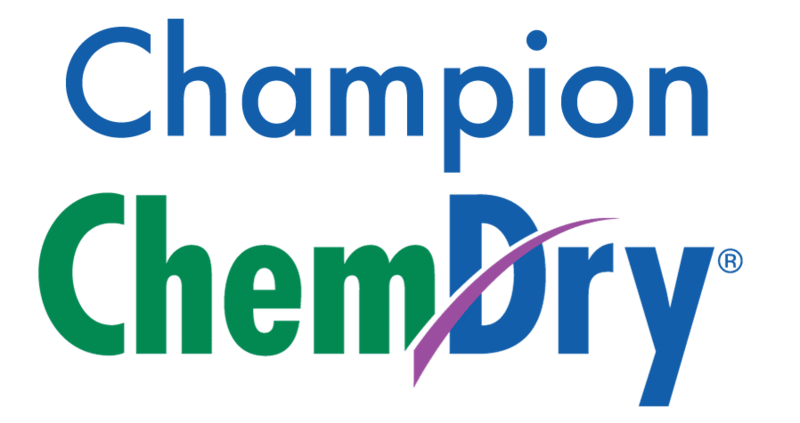 RECEIVE $20 OFF HCE CARPET CLEANING OR OTHER SERVICES FROM CHAMPION CHEM-DRY. RECEIVE $35 OFF HCE CARPET CLEANING OR OTHER SERVICES FROM CHAMPION CHEM-DRY. 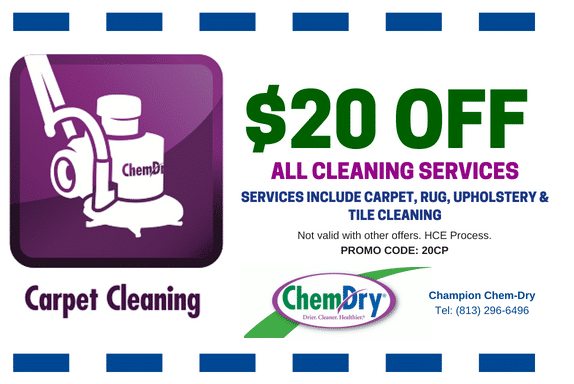 $200 SERVICE MINIMUM. 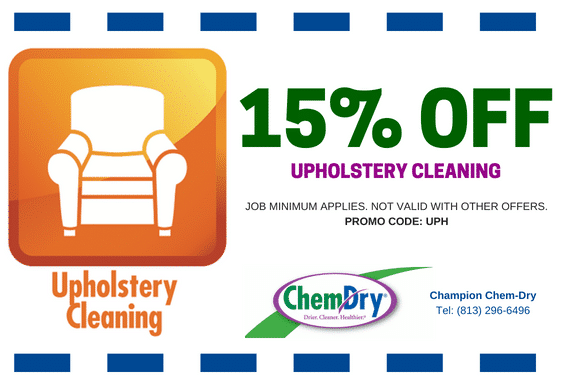 RECEIVE 15% OFF UPHOLSTERY CLEANING FROM CHAMPION CHEM-DRY IN TAMPA, FL.